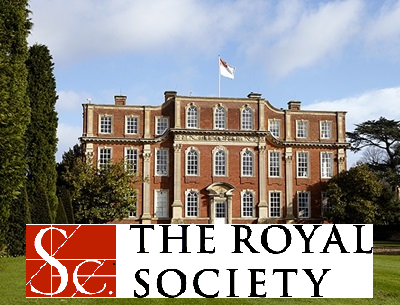 From 21st to 22nd February the Royal Society and the Royal Netherlands Academy of Arts and Sciences (KNAW) held a UK – Netherlands bilateral international meeting to explore common research interests in the fields of Quantum Physics and Technology, Nanochemistry and Responsible Data Science. UnBias was pleased to participate as part of the Responsible Data Science stream. HOW DO YOU TAKE CARE ON THE INTERNET? 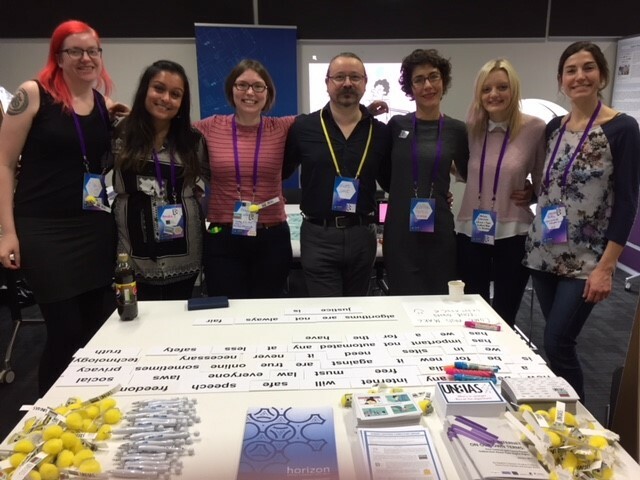 Members of the UnBias team and the Digital Wildfire project from the Universities of Nottingham and Oxford were delighted to participate in Mozilla Festival (MozFest), which took place over the weekend of 28th-29th October 2017. The festival saw thousands of members of the general public, of all ages and nationalities, pass through the doors of Ravensbourne College to engage in a festival that aimed to promote a healthy internet and a web for all. Issues of digital inclusion, web literacy and privacy and security were some of the key topics that were discussed at the event. June was a month of conferences and workshops for UnBias. The 3rd UnBias project meeting on June 1st, hosted by our Edinburgh partners this time, was quickly followed by the Ethicomp and EuroDIG conferences which both took place from June 5th to 8th. The 4th Winchester Conference on Trust, Risk, Information and the Law took place at the University of Winchester on Wednesday 3rd May 2017. The overarching theme of the day was “Artificial and De-Personalised Decision-Making: Machine-Learning, A.I. and Drones”: offering a chance for multi-stakeholder and interdisciplinary discussion on the risks and opportunities presented by algorithms, machine learning and artificial intelligence. 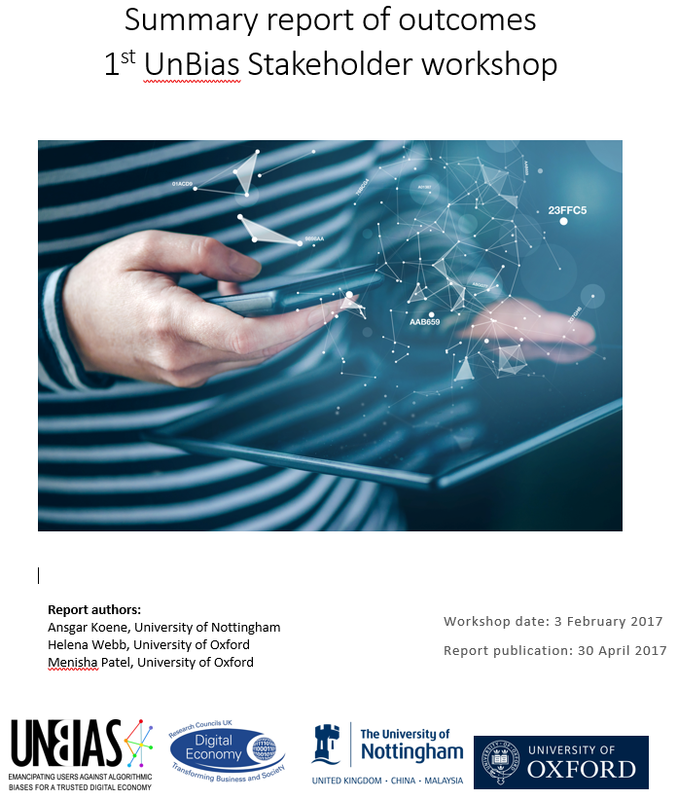 We are please to announce that the report summarizing the outcomes of the first UnBias project stakeholder engagement workshop is now available for public dissemination. The workshop took place on February 3rd 2017 at the Digital Catapult centre in London, UK. It brought together participants from academia, education, NGOs and enterprises to discuss fairness in relation to algorithmic practice and design. At the heart of the discussion were four case studies highlighting fake news, personalisation, gaming the system, and transparency. 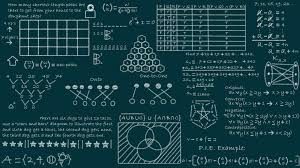 What are algorithms and how are they designed? Why are they used in commercial practice and what kinds of benefits can they bring? What are the potential harmful impacts of using algorithms and how can they be prevented? On Wednesday 15th February 2017 some UnBias consortium members had the pleasure of attending an Algorithm Workshop hosted by the Law School, University of Strathclyde. During the workshop, we had the opportunity to consider, discuss and begin to address key issues and concerns surrounding the contemporary prevalence of algorithms. The workshop was also attended by students from the host University and an interdisciplinary group of experts from areas including Law, Computer Science and the Social Sciences. This mix of expertise made for a really great afternoon of talks and discussions surrounding the design, development and use of algorithms through various disciplinary perspectives. On February 3rd a group of twenty five stakeholders joined us at the Digital Catapult in London for our first discussion workshop. The User Engagement workpackage of the project focuses on gathering together professionals from industry, academia, education, NGOs and research institutes in order to discuss societal and ethical issues surrounding the design, development and use of algorithms on the internet. We aim to create a space where these stakeholders can come together and discuss their various concerns and perspectives. This includes finding differences of opinion. 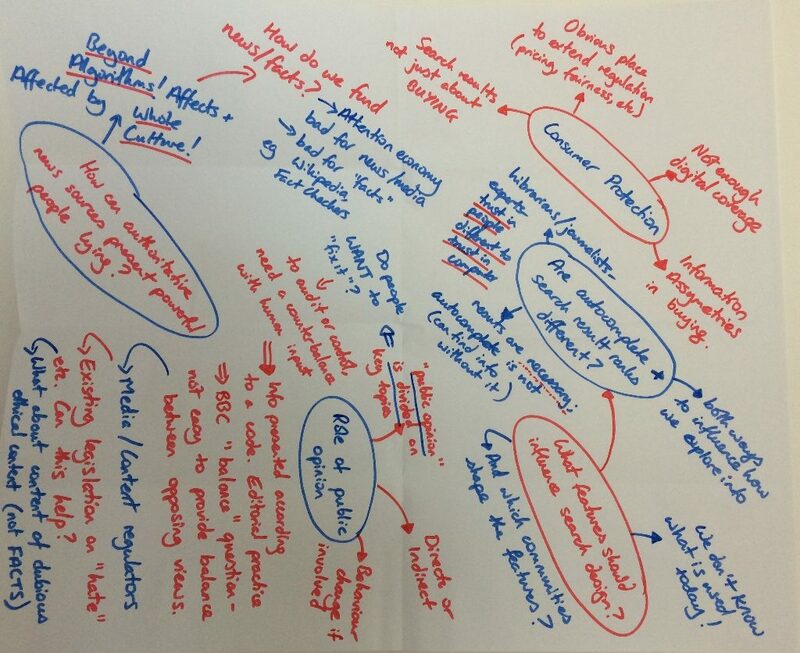 For example, participants from industry often view algorithms as proprietary and commercially sensitive whereas those from NGOs frequently call for greater transparency in algorithmic design. It is important for us to draw out these kinds of varying perspectives and understand in detail the reasoning that lies behind them. Then, combined with the outcomes of the other project workpackages, we can identify points of resolution and produce outputs that seek to advance responsibility on algorithm driven internet platforms. From Thursday 24th to Monday 28th November, the Nottingham UnBias team contributed to series of workshop/CPD events organized by the SATORI project, the Belfast Solicitors’ Association (“BSA”) and the Ethics of Big Data working group at the University of Cambridge. The first youth jury sessions of the UnBias project took place last weekend and were highly interesting and thought provoking. Despite the cold and rainy weather, we had a great turnout with nearly 30 young people choosing to attend. Our youth jurors mostly ranged in age from 13 to 18 and took part in two interactive activities.